DT Swiss says: Riders who like the idea of giving their tires some extra volume and support will find the ideal partner with the XM 481. Its full 30 mm of inner width together with a minimal hook and perfect tubeless compatibility make it ready to tackle all demanding trails, both up and down the mountain. Melody says: “Wider-is-better”. 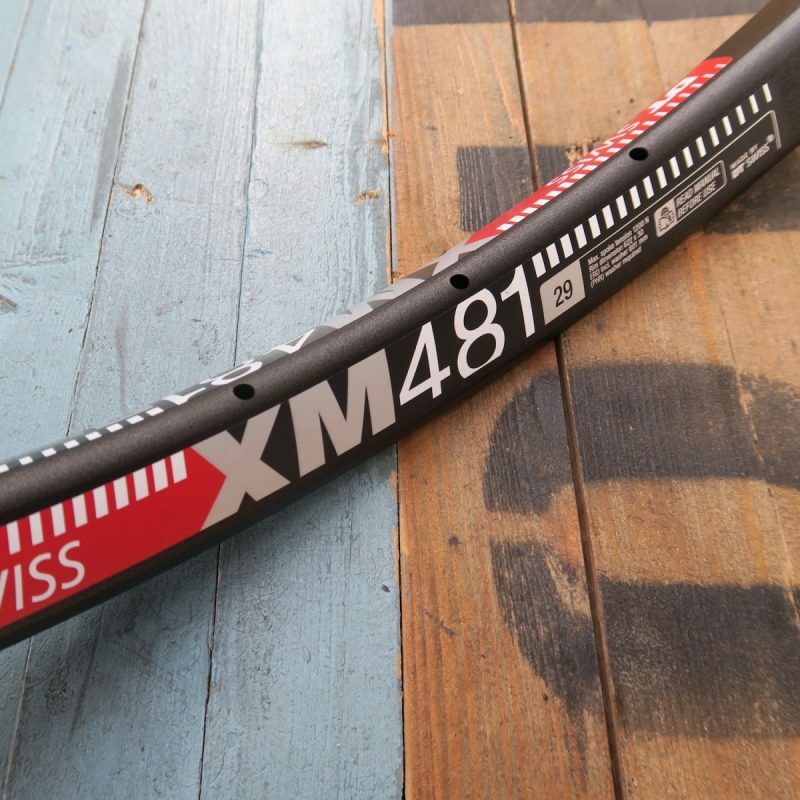 The DT Swiss XM481 is one sure-footed mtb rim that is suitable for All-Mountain riding. Because of it’s wide profile, the XM481 is often confused with its big brother the EX511. The key difference between the rims is wall-thickness and rim weight. If you’re getting big air or smashing is through the rock garden, the EX511 is a more suitable rim. If you’re looking for a versatile all-purposed mtb rim that can take a lot of ruff and tumble, the XM481 is the perfect rim for you.